In 2006, applications were made by the NHS for outline planning permission for development on the Meadow and other sites in the Warneford Hospital grounds. These were eventually turned down by Oxford City Council, and an appeal to the Secretary of State was withdrawn, but the Meadow remains zoned as a development site in Oxford’s Local Plan. While the applications were under consideration, local resident Paul Deluce, supported by FoWM, applied to Oxfordshire County Council to register the Meadow as a Town Green. Town Green status would mean that the Meadow could never be developed and would therefore be saved for future generations. Objections were made by the Oxfordshire and Buckinghamshire Mental Health NHS Trust, (OBMH) who own the land, and by others, and a lengthy enquiry followed. In his Report (pdf, 414 K) the Inspector, Mr Vivian Chapman QC, recommended to the County Council that Warneford Meadow should indeed be registered as a new green. 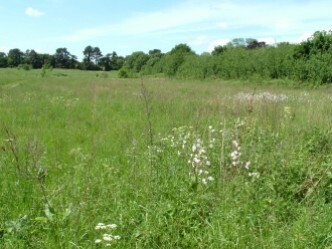 On 6 April 2009, the County Council followed the advice of the Inspector and decided to register Warneford Meadow as a Town Green. On 2nd June 2009, OBMH applied for a Judicial Review of the County Council’s decision. Judicial review is a process by which the legal soundness of a public authority’s decision may be challenged in the High Court. The court does not generally consider the merits of the decision. • by a significant number of the inhabitants of a locality or a neighbourhood within a locality. 2 In the present case, in 1989 signs were erected on the land bearing the words no public right of way. This had the effect of rendering subsequent use of the land contentious. 3 The registration authority proceeded on the basis that use of the land in the present case was referable to the inhabitants of a neighbourhood identified by it as Hill Top Road within the City of Oxford. 4 In the light of the evidence as to use as found by the Inspector and on which the registration authority relied, it was not open to the registration authority to conclude that the land had been used as of right by the inhabitants of Hill Top Road or that, contrary to the case put forward by the applicant and the claimants, any such use was use by the inhabitants of a neighbourhood within the meaning of that term in the Commons Registration Act 1965. The relevant definition of town and village greens is set out in section 22A of the Commons Registration Act 1965. The Permission Order (pdf, 63 K) issued on 10th September setting out the reasons why OBMH’s application for permission to apply for Judicial Review was granted. OBMH’s Detailed Statement of Grounds (pdf, 928 K) puts forward their case against the Inspector’s Report and OCC’s subsequent decision to register Warneford Meadow as a town green. OBMH’s case is supported by a further document, Statement of Facts Relied On (pdf, 2952 K). Oxfordshire County Council has delayed registration of the Meadow pending the outcome of the Judicial Review. OCC’s argument is set out in Grounds Relied on by the Defendant for Resisting Application for Permission (pdf, 340 K). Paul Deluce’s arguments are set out in First Interested Party's Detailed Grounds for Contesting the Claim (pdf, 47 K). Note that Christopher Whitmey and Rosie Booth are named as interested parties in these documents. Represented by Mr Whitmey, they were objectors at the town green hearing in 2007-08. After two days with over thirteen hours of detailed legal submissions, the Judicial Review into the Inspector’s Report is still not completed. The Report, which advised Oxfordshire County Council to register Warneford Meadow as a Town Green, is being contested by the NHS, which owns the land. The Judicial Review was listed for two days (25th – 26th February), but even after agreeing to sit for longer than usual each day, Judge David Waksman ran out of time before he had heard in full submissions from all the parties. Although remaining legal arguments may be submitted in writing, there will still be an extended wait before Judge Waksman’s judgement is handed down. In his judgement, High Court Judge David Waksman, dismissed the NHS appeal and upheld Oxfordshire County Council’s decision to register Warneford Meadow as a Town Green. Judge Waksman’s judgement can be read in full by clicking here (pdf, 176 K). OBMH accepts the outcome of the Warneford Meadow Judicial Review and will not be proceeding to further appeal. We are of course extremely disappointed at the effect this will have on our plans to make improvements across our estates to benefit our patients. proceeds from the sale of surplus land to replace these out of date facilities. We remain committed to improving facilities for our patients at the Warneford Hospital. We accept that this will now take longer than we planned and hoped.